It is a common idea in modern authored histories of the Olympic Games that Theodosius I literally abolished the Olympic Games through specific edicts. Was this the product of historians projecting the laws of Theodosius on such a prestigious event and hence claiming direct prohibition, or did Theodosius really literally ban the Olympic Games in his edicts? The idea that Theodosius I literally banned the Olympic Games is firstly discredited by there being no direct references to the Ancient Olympic Games in the Theodosian Code. The Theodosian code was based on the enforcement of the Christian faith and on the ideologies of Christian dogma. Spivey explains that “There was nothing in the Christian faith that actively underminded the practice of athletics.” An assessment of this suggests that Theodosius I would not have paid particular attention to athletic events, such as the Olympic Games, when authoring his edicts but rather to the ideas and activities that surrounded the ‘pagan’ faiths which governed such events. Theodosius I was the first emperor to “prohibit the whole established pagan religion of the Roman state.” Hillgarth comments that by the time of Theodosius the church was a part of the “political and social structure of the oppressive empire.” It was necessary for Theodosius to prohibit the traditional pagan practices in order to fully establish his dominance over the empire. Young explains that around 391AD Theodosius issued an edict “that all pagan temples be closed.” These edicts against the worship of the pagan/Ancient Greek faith led to the decline in many areas of traditional Greek life such as the Olympic Games. Despite the debate, the title of the ‘Olympic Games’ continued to be used elsewhere after the decline of Olympia. Downey asserts that the “Olympic Games at Antioch must have ranked among the most important of the local festivals of the Roman East.” The idea that the title was adopted by games at Antioch and continued throughout the time of Theodosius’ edicts suggests that the Games at Olympia as an event were not prohibited; otherwise events that carried the name elsewhere would have been inclined to dismiss the title and the associations surrounding it as a heresy. However, the Games at Antioch were not prohibited until the early sixth century AD long after the Theodosian code had been established. The Olympiakon stadium itself was still in use till the sixth century. Theodosius I banned the pagan practices associated with the Olympic Games and made Christianity the primary religion of the Empire for a number of reasons. Greenslade comments that “Theodosius…crowned the work of Constantine,” attempting to create a unified Empire “with a unified faith.” Theodosius attempted this partly in the hope that his laws would decrease the pagan religions and standardise Christianity. 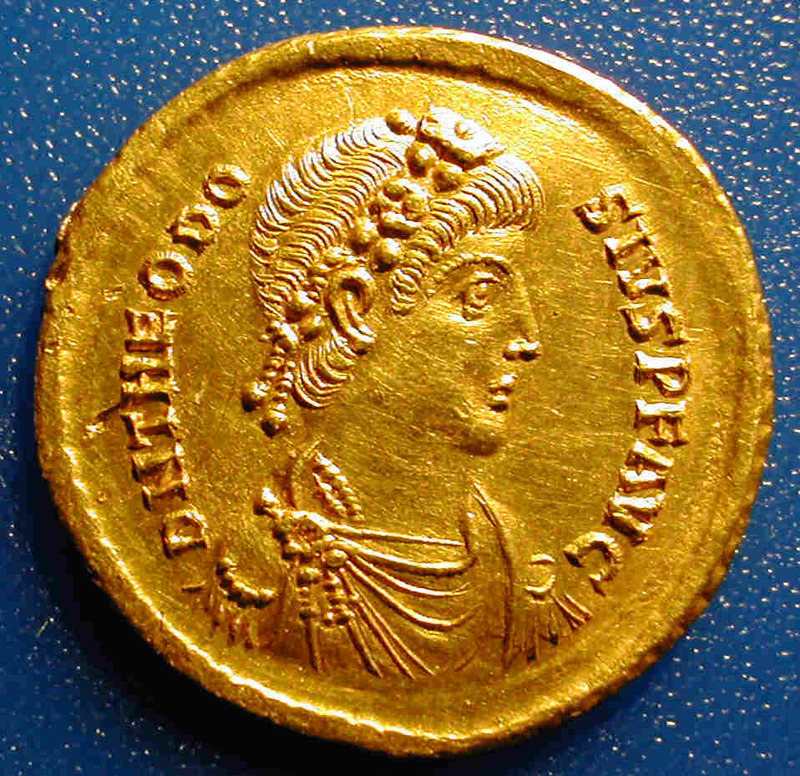 Theodosius was also subject to the Judaic and monotheistic ideas of Christianity. Williams and Friell explain that the new Christian regime inherited the “jealous, militant monotheism of Exodus, as well as pre-eminent Judaic concern with the law.” The pagan religion was hence a heresy. Hillgarth explains that Theodosius I banned the use of areas of pagan worship such as temples and sanctuaries in XVI, 1, 2 (380). Theodosian code cites that “their meeting places shall not receive the name of churches,” and that all pagan sites of worship should be abandoned in sight of the law and the new Christian dogma. 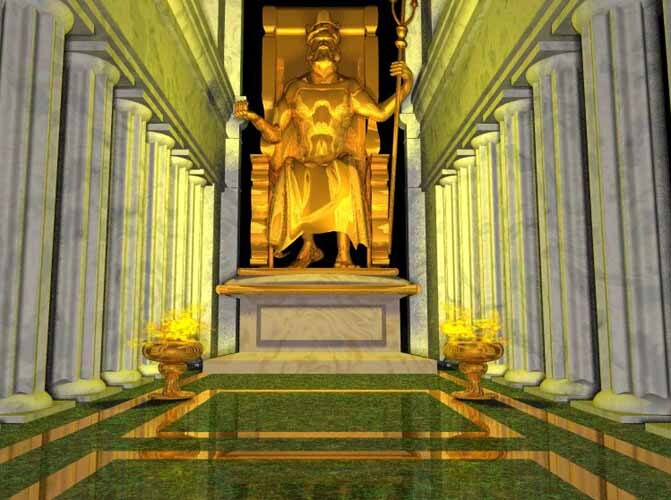 Young explains that the focal point of Olympia was the sanctuary of Zeus and the “renowned temple of Olympian Zeus.” The Olympic Games focused significantly on becoming closer to the gods, to be the very best, and the sanctuary was an important and essential part of this ancient Greek ideal. Theodosian code states that “no person at all, of any class or order whatsoever of men or of dignities,…shall sacrifice an innocent victim to senseless images in any place at all or in any city.” As much of traditional Greek festivities and Games included sacrifice to the gods as a key aspect, the prohibition of such acts would have had a direct effect on events such as the Olympic Games. Archaeological evidence suggests that not only did Theodosius I not literally ban the Olympics, but that his edicts weren’t completely complied with at Olympia. Young explains that though Theodosian law prohibited the use of places of worship such as the sanctuary of Zeus, Zeus’ temple and his Olympic Games may well have lasted beyond the 391 edict and into the fifth century. Archaeological evidence in some cases wouldn’t date the end of the Ancient Olympics at Olympia to Theodosius I at all but rather a significant decline, the termination of the Games being attributed to the time of his successor Theodosius II. Hillgarth also assesses that the edicts of Theodosius I were not complied with, and uses as his evidence the stricter later laws being set out by succeeding Emperors, “culminating to the threat of the death penalty in 435” years after Theodosius I’s reign. The idea that Theodosius did not literally ban the Olympic Games is also supported by the circumstances under which the 293rd Olympiad of 392 did not take place. Koromilas assesses that the decline of Olympia’s Games was not due to Theodosian law but rather to the sanctuary no longer existing, and that there were several factors apart from the expansion of Christianity over a long period of time which led to its downfall. Young agrees with this assessment, stating that Olympia had become inhospitable and was subject to earthquakes, floods and the flight of barbarians. In most modern histories the prohibition of the Olympic Games is attributed to the Emperor Theodosius in the fourth century. However, this theory is largely discredited through the study of Theodosian law. Theodosius I did not ban the Olympic Games specifically but rather the pagan practices that were associated with them. Theodosius evidently did ban the pagan practices that were associated with the Games in response to Christian dogma and the desire to create and control a unified empire under one religion. This entry was posted in Musings and tagged Ancient Olympics, Antioch, Christianity, Constantine, Edicts, Empire, Festivals, Gods, Greece, Olympia, Olympics, Paganism, Religion, Roman, Sacrifice, Temples, Theodosian Code, Theodosius, Zeus.